Watch J. Crum on YouTube. With uplifting lyricism and passionate energy J. Crum, along with his band ALTR, deliver performances that you won't forget. A full hip-hop band with influences of rock, funk and soul, the group delivers positive, power-packed lyrics that consistently create an almost hypnotic appeal towards its listeners. J. Crum has actively been pursuing his music career since 2005, producing his first mixtape at age 17. In 2008, he added singing to his repertoire and a live band to his sound. This transition in his musicality would soon birth forth the band called ALTR (Altar/Alter). The sudden shift also inspired the concepts around his second album “Exhale,” released in May 2013. Well known for his unique style and rhythms, this two-time OEAA nominee has performed throughout Nebraska, the Midwest and abroad. 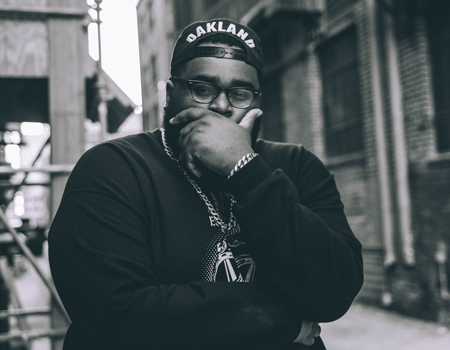 In February 2016, J. Crum released his newest album, “Black Sheep.” The inspiration for his sound is widespread, ranging from Florence + The Machine to Lupe Fiasco and from Kanye West to Fall Out Boy. J. Crum's faith, diversity and passion has always been the driving force in creating powerful counterculture music for his generation. Technical requirements: Two vocal microphones and mic stands, one instrument microphone, four di boxes, two XLR inputs and three wedge monitors. Group provides two guitar amps and stands and mixer.